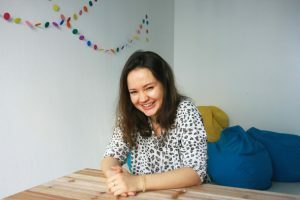 Meet Agata, customer success manager at Joblift and lover of tofu. She’s living in Germany but learning Spanish, and she has lived in five different major cities. She really is a woman of the world! How long have you been working at Joblift? I have been at Joblift since mid-June, and so far I’m loving it! What did you do before Joblift? Before moving to Berlin and working at Joblift I studied finance and accounting in Warsaw for five years (I have yet to use my knowledge from uni). Since then I’ve been moving around on a regular basis, I lived in Amsterdam for a bit, Saint Petersburg, Hamburg and now I’m in Berlin. It’s a tough choice, but I think my favourite city would have to be Amsterdam – the architecture in the centre is absolutely beautiful, and you can get everywhere on your bike. There’s also a really relaxed atmosphere, it’s not rushed and fast-paced like other big cities. What is your favourite thing about living in Berlin? I think that it would have to be how diverse and entertaining the city is, I absolutely love it! You never really know what to expect and I am never bored. It’s a great place to have new experiences and there is always something cool happening. Also being so close to Szczecin, Poland, my hometown, is a huge plus. That’s a tough question. I think it would have to be the people I work with, everybody is incredibly intelligent and really fun – the perfect combo! Also the amount of flexibility there is in the company is amazing. You get so much freedom and trust from your supervisors, it’s a great way to work, and I feel like I learn so much.